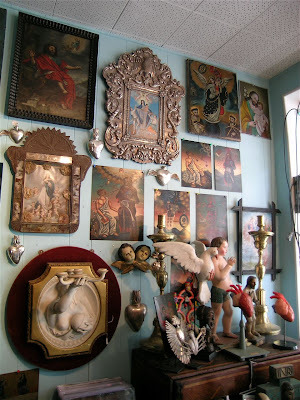 Yesterday I took my usual LA pilgrimage out to Historia Antiques in Santa Monica and met up with James Caswell to discuss all things Spanish Colonial... it usually goes on for quite a while but is always absolutely inspiring and illuminating. Here's a photo of some of my paintings in his store amongst ecclesiastical paintings. 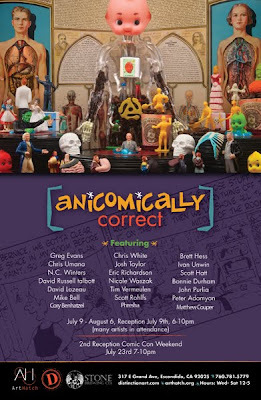 Invitation to 'Anacomically Correct' at Distinction Art Gallery, Escondido, CA, USA, opening Sat night at 6pm. Hope to see you there!